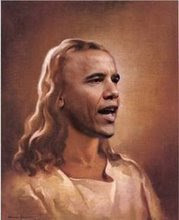 PROTEST THE LEFT: College Editor States that "Obama is my Jesus"
Here is the truth of the matter! of the Lord has already come. may be revealed at the proper time. the breath of his mouth and destroy by the splendor of his coming. they refused to love the truth and so be saved.